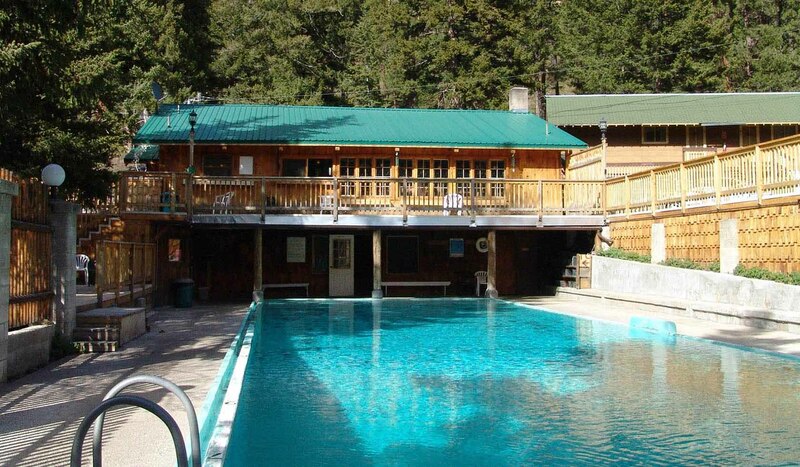 Lost Trail Hot Springs boasts rustic elegance in a National Forest setting, as you relax in our natural Hot Spring fed pool and hot tub, as well as our dry sauna. Hiking, fishing, hunting and skiing are all nearby. 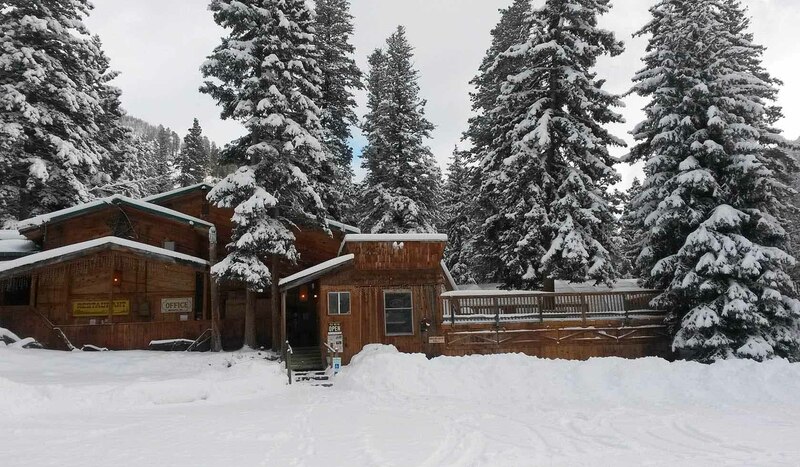 We are the closest lodging to Chief Joseph cross-country ski trails and Lost Trail Powder Mountain downhill skiing. 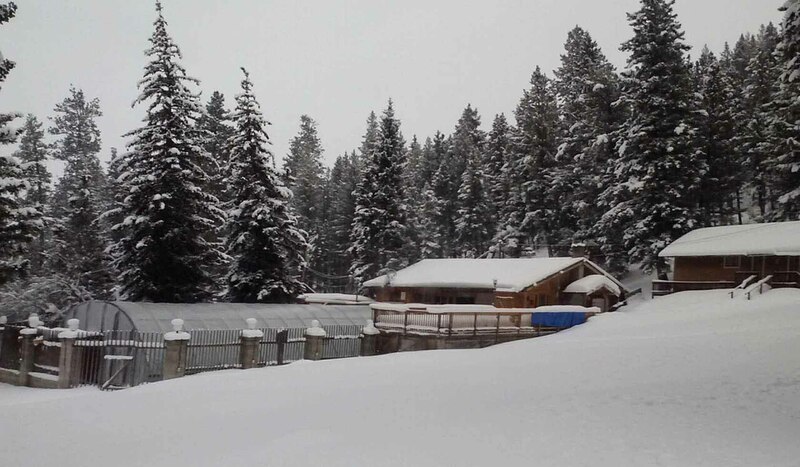 Accommodations for up to 100 guests can be found in our cabins and lodges - all with electric heat and private bathrooms, even though the buildings date back to the mid-1900s. 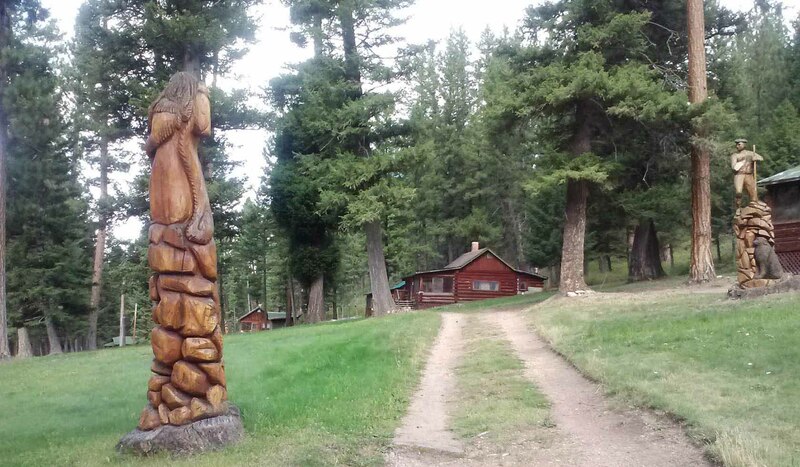 Our wooded RV Park is available for those traveling with their own lodging. Be sure to make reservations if you hope to join us in the dining room - only an option during the summer months and in ski season. Lost Trail Hot Springs is 85 miles south of Missoula on Highway 93 and 6 miles north of the Idaho line and Lost Trail Ski Area. 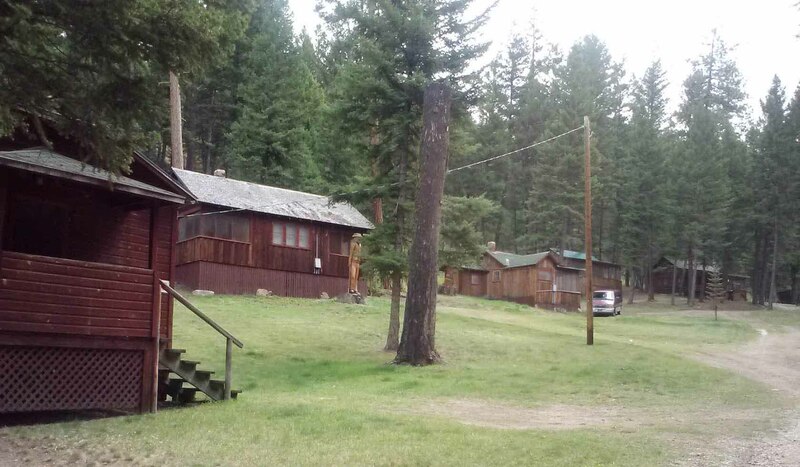 We are located 1/4 mile off Highway 93, surrounded by the Bitterroot National Forest. There is easy access from Butte via Highway 43 when coming from Yellowstone Park. Watch for our sign at the base of the pass.